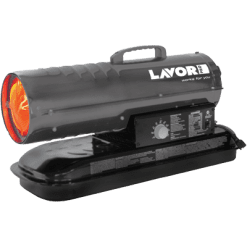 A forced air heater can encompass a number of things, including portable diesel units or central heating units. 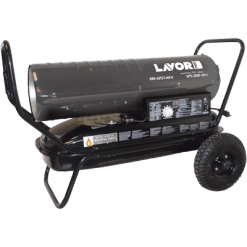 We concentrate on the portable diesel units here at Lavorwash. 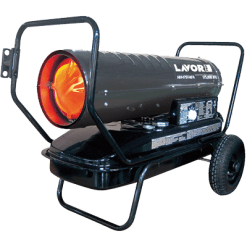 The Lavorwash range of forced air heaters are used to heat anything from sheds, workshops, factories or industrial sites. Like most industrial style heaters, we use BTU (British Thermal Unit) and Heating Area as the ratings for our units. The larger the BTU, the larger the heating power. If you have a small area with a large BTU, it won’t take long to heat that area. If you use a machine with a small BTU, but have a large area, it will take the machine a long time to heat. This is why we have a “Heating Area” in our specifications. This is a general guide to help you choose the best heater for your sized area. As another helping guide, we also show you Fuel Tank Size and Operating Hours. These two values give you an indication of the running costs of the machine based on the area that you are attempting to heat.